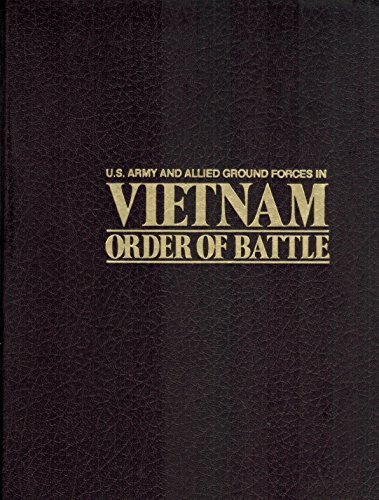 Publisher: U.S.News Books, Washington, D. C.
A monumental, encyclopedic work of immense detail concerning U.S. Army and allied forces that fought in the Vietnam War from 1962 through 1973. Extensive lists of units providing a record of every Army unit that served in Vietnam, down to and including separate companies, and also including U.S. Army aviation and riverine units. Shoulder patches and distinctive unit insignia of all divisions and battalions. Extensive maps portraying unit locations at each six-month interval. Photographs and descriptions of all major types of equipment employed in the conflict. Plus much more! Capt. Shelby L. Stanton served as an infantry officer in Vietnam, Thailand, and Laos during the Vietnam War. A recipient of the Purple Heart, he is an attorney and author of several books on military affairs. He resides in Bethesda, Maryland.